The purpose of Telstra's Heritage Collection is to ensure that Australia's telecommunications history, as represented in the Collection, is preserved and made available for access. The Collection is managed by an affiliated volunteer organisation. Open on the last Wednesday of each month 10am - 3pm. Other days can be arranged by appointment, based on volunteer availability. A collection that reflects the history of Telstra from its beginnings in the 1850’s encompassing pre-Post Master General’s Department (PMG), Telecom Australia, AOTC and Telstra. The collection presents the development of communications in Australia with items that, through their story, represent the interaction of communication technology and the social and political developments throughout the history of Australia. The collection includes material dating from the 1840’s ranging from 19th century telegram boys' bags and horse drawn vehicles, audio visual material, telegraph and telephone equipment, scientific equipment, photographs, books and ephemera. The Telstra Museum collection provides a comprehensive historical record of telecommunications in Australia. Items held are representative of key developments and many are rare examples of Australian invention and manufacture. 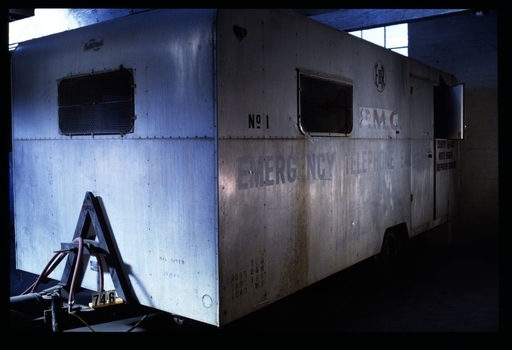 Manufactured in the 1960s, this mobile emergency telephone exchange was fitted into a caravan. Part of the Shepparton Division State Disaster Plan, the caravan could be towed to areas affected by disasters to enable communications to recommence. The caravan remained in service till around 1974. Handpainted paper on linen honour board, perspex glazed with a wooden frame. An honour board commemorating Victorian Postmaster General's Department workers who served in World War 1. A total of 3,726 employees of the Postmaster General's Department enlisted in the Australian Imperial Force during World War 1. This represented about one in every five of the total number of men employed by the Department. Many other employees volunteered, but were rejected for health or other reasons, whilst men in key positions could not be spared. This board was displayed at the Spirit of ANZAC Centenary Experience, Melbourne, in February 2016. 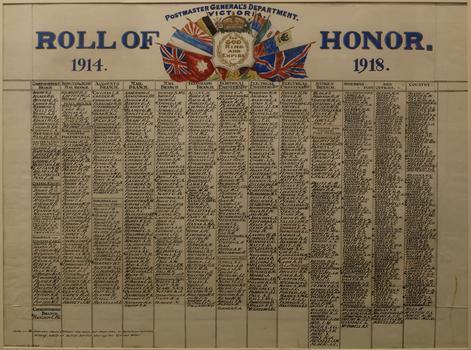 An unusual example of honour board that is handpainted on paper and is comprehensive in including the names of those who served from Victoria. The museum holds a black and white photograph dated 1919, that shows an image of the honour board in progress, with only half of the names present. 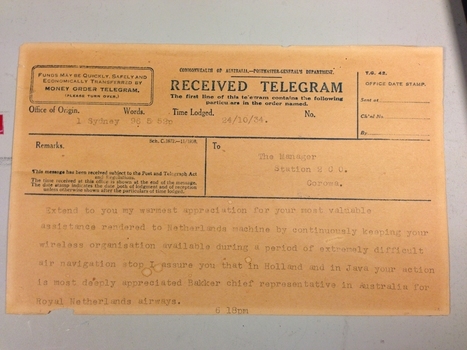 This telegram relates to the 1934 London to Melbourne Air Race. It thanks Radio 2CO radio staff for their efforts in broadcasting an emergency message to the residents of Albury after the Dutch airliner ‘Uiver’ became lost at night in bad weather. As requested local radio listeners drove their cars to the Albury racecourse and illuminated an emergency landing ground using their vehicle headlights. This allowed the lost airliner to land safely. William Jackson Thomas is credited with making the first ever telephone call in Victoria. Thomas was a customs inspector at the Geelong Customs House and a keen amateur scientist, astronomer and woodworker. He experimented with electricity and induction to develop his own telephone soon after its invention by Alexander Graham Bell. He built most of the experimental telephone equipment himself – right down to the screws. According to the Geelong Advertiser, on 27 December 1877, Thomas held a telephone conversation with friends in a summer house 40 metres away. 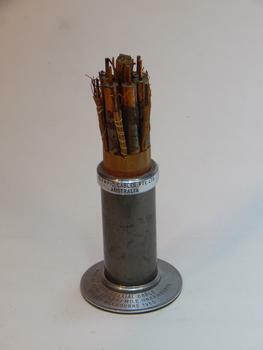 A 6 tube copper coaxial cable with lead sheath, quad 20lbs conductor cable (paper insulated), and a presentation metal collar and base. Inscriptions around the top of the metal collar and the base. Construction on the Sydney Melbourne coaxial cable began in 1960 and was one of Australia's biggest and most important telecommunications projects of the 20th century. 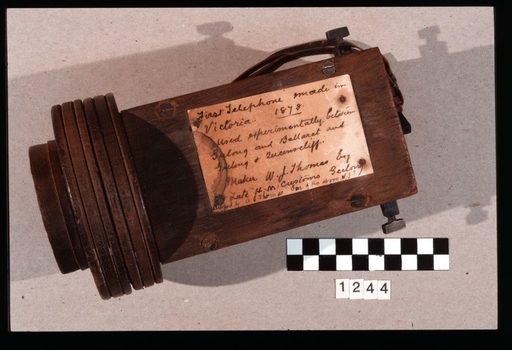 The laying of a coaxial cable between Sydney, Canberra and Melbourne, allowed people to direct dial long distance phone calls (rather than operator assisted), and supported simultaneous television broadcasts for the first time. It was officially opened on 9 April 1962 by the then Prime Minister, Sir Robert Menzies. This souvenir coaxial cable was presented to Mr Roy Kerr on his retirement. Mr Kerr was the Assistant Chief Engineer, Headquarters Customer Networks Branch, Telecom Australia. "OLYMPIC CABLES PTY. LTD / AUSTRALIA" "6 TUBE COAXIAL CABLE / WITH 32 PAIRS 20LBS/MILE UNARMOURED / SYDNEY MELBOURNE 1960"
This van was used in Western Australia by linesmen and for mail pickup between 1972 and 1991. 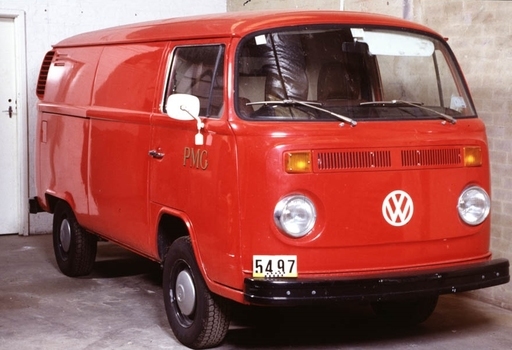 When transferred to the heritage collection, it was the very last surviving vehicle of its type owned by the company. Despite its age, the van is in excellent condition having been reconditioned in 1987. This tape is from the first telegram ever sent in Western Australia. This important event occurred on 21 June 1869. At this time the transmitted message was received on paper tape and later transcribed onto a telegram form for delivery. 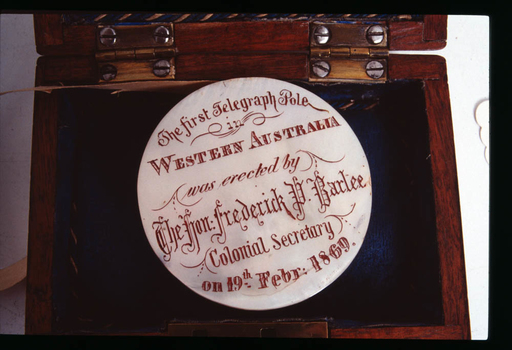 The original tape was presented to the Honourable Frederick Palgrave Barlee, Colonial Secretary of Western Australia, as a souvenir.